My Best Decluttering Tip – EVER! Even if you start out with your home neat and tidy, as the day progresses clutter can rear its ugly head. Toys, clothes, mail, and dishes are just a few of the things you may find scattered around your home. I used to spend a large portion of my day just putting things away. I would run from room to room grabbing items and returning them to their homes. One day I realized I was wasting quite a bit of time doing this and I wanted to find a way to shortcut the process. Cue my best decluttering tip. I know for me things need to be simple or I just won’t stick with it. What I needed was a system. A way to temporarily fix the random mess now so I could deal with it later. A way to save time and keep the house at least somewhat tidy so I could get on with my day. Clutter stresses me out, kids! All I needed was a place to toss those stray items as I found them until I had time to put them all away all at once. So I came up with what I like to call “catch-all” baskets. A catch-all basket is simply a basket or a tote that I strategically place in high traffic areas. When I find an item that needs put away, rather than make a special trip I just toss it into the basket. When the basket is full I will take it with me and put all the items in it away. So simple and incredibly effective! 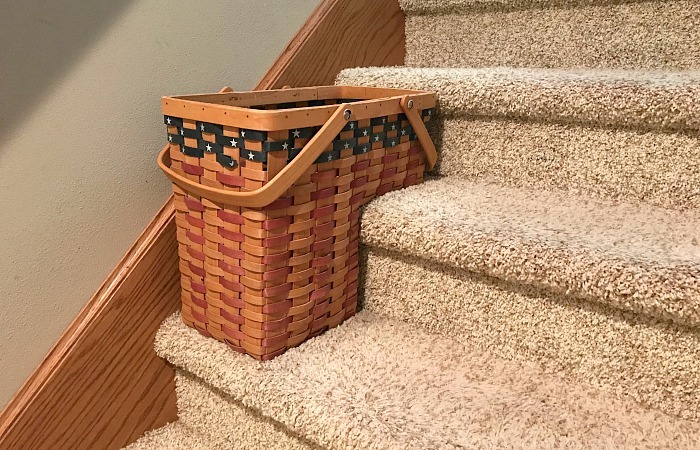 If you have a second story (or even a third) in your home, you can place a basket on your stairs for specific items that belong on a different floor. The next time you make a trip up, take a few items from the basket and put them away. I cannot tell you what a time saver this has been. No longer do I find myself wasting time running around the house. With catch-all baskets, you can take multitasking to the next level. 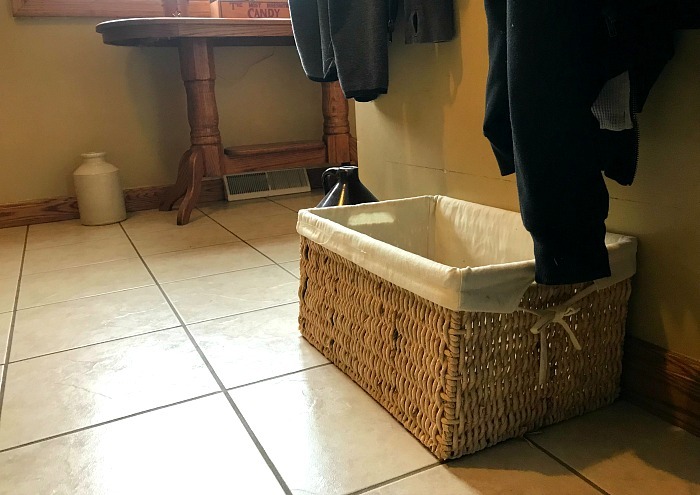 Where to place baskets – my best decluttering tip. It just amazes me how many items end up in my kitchen that does not belong there. Papers, toys, even clothes somehow end up all over my kitchen counters. I found that by placing A cute basket or two like these work perfectly. 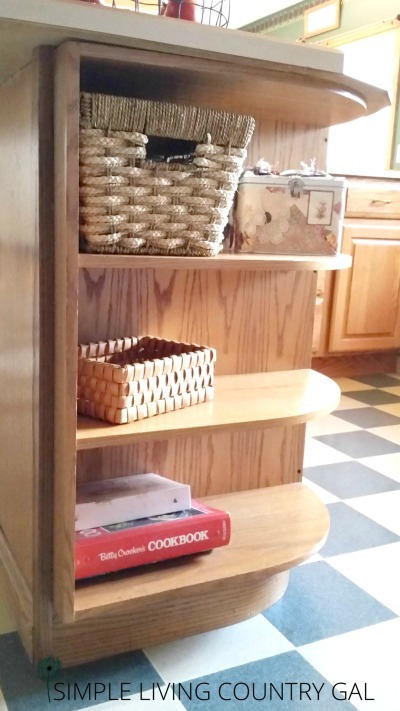 Have one at the end of the counter and on a shelf to keep all of that clutter out of the way. This is where I spend most of my time so inevitably items end up there that don’t belong. 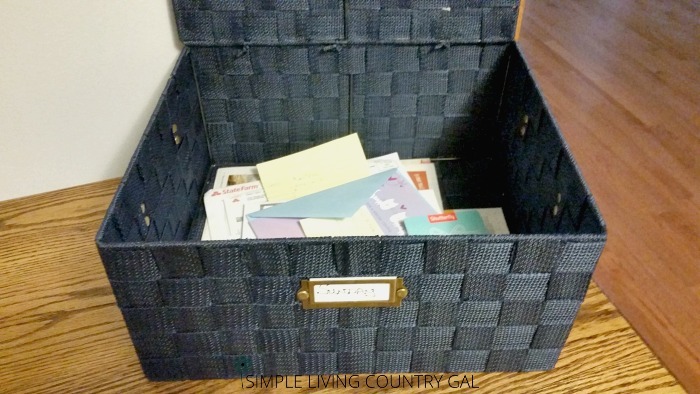 I have a wonderful hinged basket just like this one near my desk to toss things into. Once that basket if full I will take just a few minutes to put items where they belong. This one tip alone has kept my office neater and a much more pleasant place to work. Hey, clutter is a huge distraction and if you work from home distractions are the worst. If this one tip will remove a huge distraction why not at least give it a try? I love having a basket like this one on my stairs. This is probably the biggest time saver so far! I can’t even begin to tell you a number of times I would run things up and down those stairs. With that one basket, I have probably saved at least 30 minutes a day of running stairs. Sometimes I have items that need to be out in my barn. This basket is another great tip I love. Before I head out for any reason I will check the basket quick to see if there is anything in there I need to take along. If you don’t have a barn you can still use a basket in this room. How many times do you head off to the store and remember you left an item that needs to be returned sitting at home? Use this basket to hold any returns you need to make and always check it before you head out to run errands. Library fan? Put any books that need to be returned here as well. No more late fees! Another perk of my best decluttering tip is less misplaced items. I absolutely HATE wasting my time looking for things. Catch-all baskets are a huge time saver in this area. When you get a misplaced item at least one step closer to its home you will be less likely to lose it completely. If my boys or Handy Man for that matter start looking for a missing item, they will check the baskets first to see if it is there. More often than not it is. Remember there is no limit to the baskets you could have. More ideas for my best decluttering tip! A large basket for your family room to house all the blankets and pillows that end up there. A small basket for the entryway for the mail and keys that end up scattered throughout your house. No more running late because you can’t find your sunglasses or your keys! A basket or organizer for in your car to toss items that always seem to collect there. How about a boredom buster basket in the car for your kids? No more distractions for mom while she’s driving! This organizer works perfectly, room for clutter, snacks, and boredom buster toys for the kids! Don’t you just love it when a super simple system hits it out of the park? I do! Remember your time is valuable. There is nothing more frustrating than spinning your wheels wasting time doing unimportant things. Use my best-decluttering tip and eliminate the wasteful and give you more quality time to do the things you want to do. 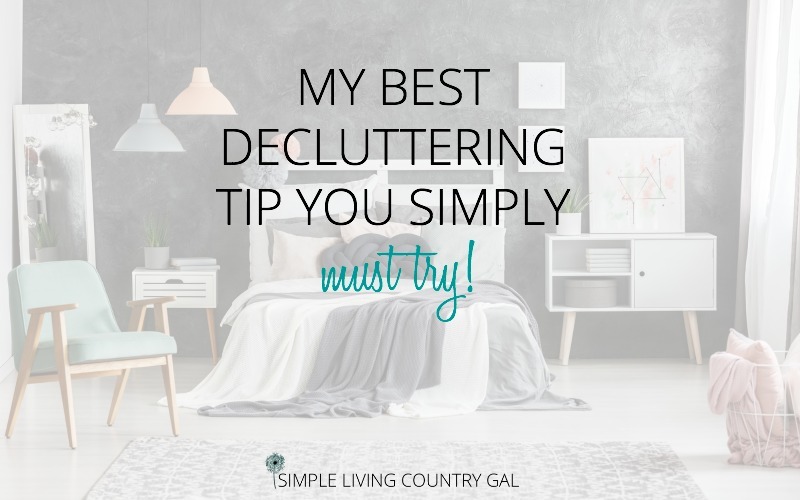 But….what if you are brand new to this decluttering thing and you really have no idea where to start or even HOW to start? I have a list of rules that will help you get unstuck. To take steps in the right direction and start to clean out your home once and for all. Read Decluttering Rules Organizing for Beginners and get the roadmap you need to get started cleaning things out today! Hi Tracy, I just found your blog from your pinterest group facebook post.I love your theme of simple living and organization. I will head over and make a comment on your facebook post. I love this tip! I’m sorry to say I spend a lot of my time looking for things that have been misplaced (usually at the hands of my toddler) and a catch all basket would help to keep those things up and away from him so they don’t end up missing or destroyed. Now to find a way to hang the baskets from the ceiling so he really can’t get to them… Great post! Hi Tracy! 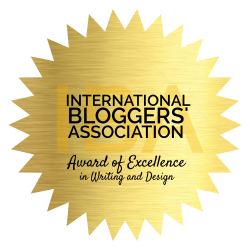 Love the blog, you’ve done a beautiful job. I want to spend more time exploring all of it. Take care. I am so glad you stopped by! I will try to visit soon, miss you! I do that too! It really is a great idea. With kids the clutter piles up quickly! Love that stairs basket. This is a great post! I have always had a basket collecting addiction! I call myself the basket lady instead of the bag lady! We even have a basket in our suburban to make cleaning out the car after errands a quick and easy breeze! Love you website! Keep up the fantastic content! Can’t wait to look around! I am so glad you liked the post and I LOVE the basket in your car tip, Brilliant!